A stable, governmental job is often praised and regarded as a safety net. For artists, however, routine serves no purpose and brings forth a dull output. As such, Aisha Dweikat took upon herself the role of being an avant-garde, ditching a repetitive drill and fully dedicating her talent towards serving the environment and her Nablus community. 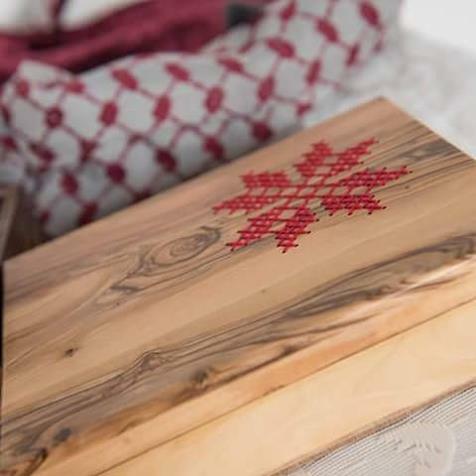 Set out to stand out whilst employing the Palestinian heritage for her designs, Dweikat joined a number of craft workshops. She was later nominated to design a set of games for the Jenin Refugee Camp, northern the West Bank. “These games constituted a challenge since they were more educational than entertaining,” Dweikat said. Palestinian women’s presence in the labor market is known to be the lowest in the region. Dweikat, however, did not hold back. 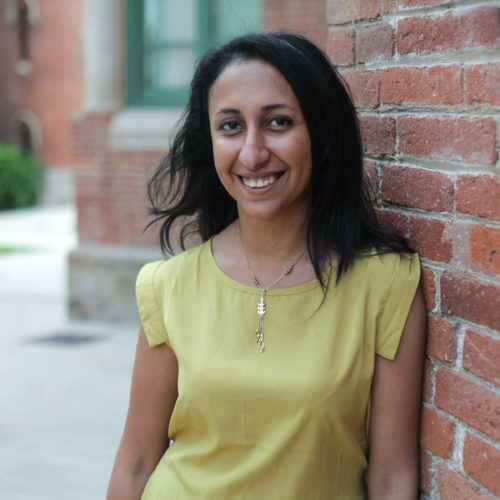 Dweikat’s initiative coincided in birth with her work at the refugee camp. The camp, which provided only fabric remnants, gave Dweikat the idea to employ similar remnants in her design. “There were a number of resources to sustain my idea, as I passed by textile factories on a daily basis,” Dweikat said. “This further prompted me to use materials such as wood, sponge, and fabrics to kick off my accessories line,” she added. Dweikat’s focus revolved around reviving and sustaining the Palestinian heritage. 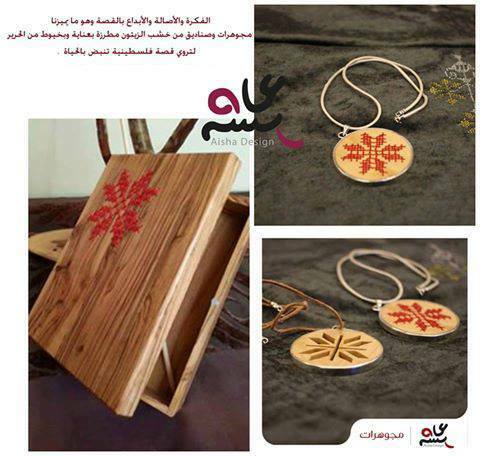 Dweikat’s start was not planned for, however, her participation in a program aimed at developing traditional crafts by UNIDO diverted the course towards accessories and jewelry. Intent on outlining the Palestinian identity throughout her work, Dweikat recycled materials to mirror traditions. The initiative set a clientele base between the local community, tourists, and expats. However, labor costs are not enough to sustain a living, and shipping costs are exorbitant to export. “If it weren’t for the shipping costs, we would be a bigger business than we are at the moment,” says Dweikat. As for the society, Palestine is still short in awareness. “It can be hard to sell, sometimes. You have something entirely made of recycled material – that can be looked down on in our society and rendered as cheap,” Dweikat referred to the lack of sustainability culture. “In 2015, I won Best Business Plan for a Recycling Project Award, presented by Dutch NGO, SPARK and Bank of Palestine. Such awards make for funding sources, albeit insufficient to expand,” Dweikat remarked. 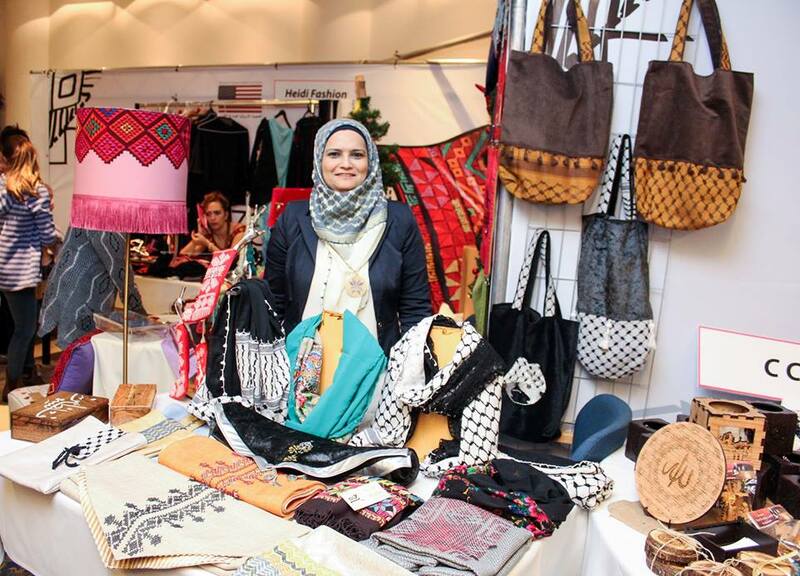 Prior to 2015, she relied solely on self-funding through her monthly salary from her work at the refugee camp, as well as the Aisha Design profits. In 2016, Aisha earned a small grant from UN Women keeping her initiative afloat. El Farra believes that Aisha’s main driver in her business is her continuous learning and creativity as she keeps on looking for new, fresh ideas, developing them into new, compelling designs. To mirror El Farra’s sentiment, Dweikat’s work looks like a diverse collection of environmental awareness, art, and perseverance, that prospers daily.